Interface Devices Ltd can provide complete turnkey engineering solutions from the smallest surface mount component, through to the enclosure it resides in and onto large scale processing systems also providing all the resourse and support needed to develop, deploy, maintain. Our Customer Front Office can be white labeled to answer the phone in whatever manner our clients require and provide resolution workflow as necessary . Our Remote Monitoring solutions ensure that all aspects of your enterprise can be monitored and reported upon. Monitoring a whole host of 3rd party equipment within your environment and bringing all the information back to a central reporting entity. With proactive pre-emptive alerting techniques you will be alerted to potential issues before they become an issue. Many Optional I/O modules allow for connection to Energy supplies, Data comms links, SNMP agents & clients, SCADA interface, Environmental, Radio, TV, Security, Networking and Internetworking. Multi platform software development is a core part of our infrastructure and to provide a richer and tailored customer experience, clients are changing the way they are designing, developing and deploying their products to make them future proof and inherently more versatile and interconnected. By understanding a clients requirements fully we can develop solution that grow with the needs and ebbs and flows of their business. Our Software Consultancy service can assist in defining and documenting system requirements and specifications. Follow on services can be developed to effect handover of the solution to the customer, documentation and staff training and education. As the company name suggests, Interface Devices Ltd was originally setup to provide hardware interfacing solutions to meet clients needs. 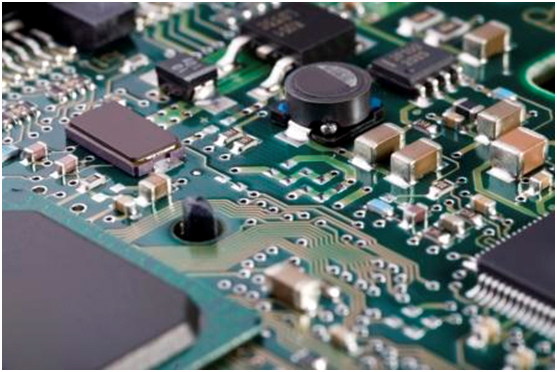 We have developed a vast array of electronics from mainframe components through to real time systems monitoring the stresses experienced on the wings of aircraft, radio communictions, dsp & microcontroller based systems. Our in house facilities provide circuit designs, component procurement, pcb design and manufacture and zero touch product assembly test and inspection. o	Rack mount LCD presentation systems with slideshow content or dynamic content controlled from a tablet device. Eddystone Broadcast Ltd are to exclusively use the Remote monitoring product within their Portfolio of work class Radio Transmission systems.